I’ve resisted the chai charms of Tea for Two for quite some time. It was a fragrance that I tried early on in my fragrance journey from a small sample sent to me as part of a Basenotes swap. At the time I found it to be thick and heavy, with an awful syrupy texture that just didn’t sit right with my then uneducated nose. Recently I found a bottle in TK Maxx significantly discounted to a price that would have been rude to refuse, so being the ever so polite young man I am, I thought “what the heck”, let’s give this thing another shot, and I’m very glad that I did. 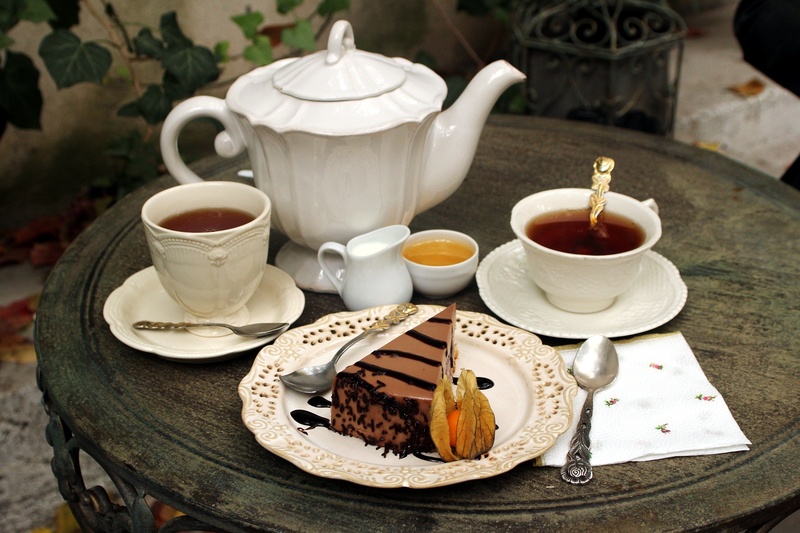 Tea for Two is largely as I remember it – lots of smoky sweet lapsang souchong tea, that unusually tasty blend of sweet and savoury that is quite unlike anything else out there, atop a big heap of honey and cinnamon spice. What I notice now, that I didn’t way back in the day, is a remarkable lightness and transparency to the whole thing that allows each of the individual components to breath. This way you get a rich, syrupy and smoky fragrance that doesn’t feel heavy, instead it wears closely to skin, radiating a low glow of smoky gourmand warmth. Another thing I notice more now is a great big leather note that is smoky and funky. I get flashes of Dzing!, L’Artisan’s circus-inspired leather made from a whole barnyard’s worth of funk, that provide that deep and dark contrast required to pin down all of those gourmand elements. This funkiness is never heavy, but it does supply a generous bite and bitterness to the smoke that gives more than a hint of something carnal, perhaps suggesting that the tea is a precursor for a canoodle for the two later on. Tea for Two has been in and out of production over the last few years, despite being a cult classic. It’s a staple of the L’Artisan Parfumeur brand that helped cement the gourmand oriental as a key theme explored by just about every niche brand on the market at one time or another. You can find similar tea scents and even similar smoky, leathery, honey-like things, but really, why would you bother when you could go for the original and the best? Tea for Two is exactly what it sounds like – an invite to pure pleasure. Now, drink up, we’ve got to move on to the pastries..
Bois Farine (yet another TK Maxx bargain find – go me) is weird, even by my standards, which is saying something. At first it seems utterly unwearable, all grey and grainy, cold and austere, but with time one notices a masterfully complex range of facets that come together to create one of the all-time greatest olfactory experiences: L’Artisan Parfumeur’s tremendous ode to the Ruizia Cordata tree named ‘Wood Flour’. Don’t mistake this for an ugly duckling people, because under that mottled down is a magnificent beast of great, yet understated beauty. Penned by the legendary Jean-Claude Ellena, Bois Farine opens with a calm cloud of flour. Instantly recognisable, the flour top notes are powdery, grainy and doughy. They have an earthy, iris-like greyness to them that feels like it is dying for a touch of yeast and some hefty kneading. There’s a distinct nutty quality that adds thickness (only a touch, mind, this is a watercolour by JCE, remember) in an oily, peanut butter sort of a way, hinting at something a little bit richer. Tahini perhaps? Bois Farine doesn’t develop much, it just settles and softens with time. One key shift however, is how it transitions from nutty bread flour to sweet almond baklava. In the heart and base things become more roasted, chewy and glazed with sugar syrup. It’s almost as if the top notes present the unbaked version of the delicious treat served warm and sticky in the base. 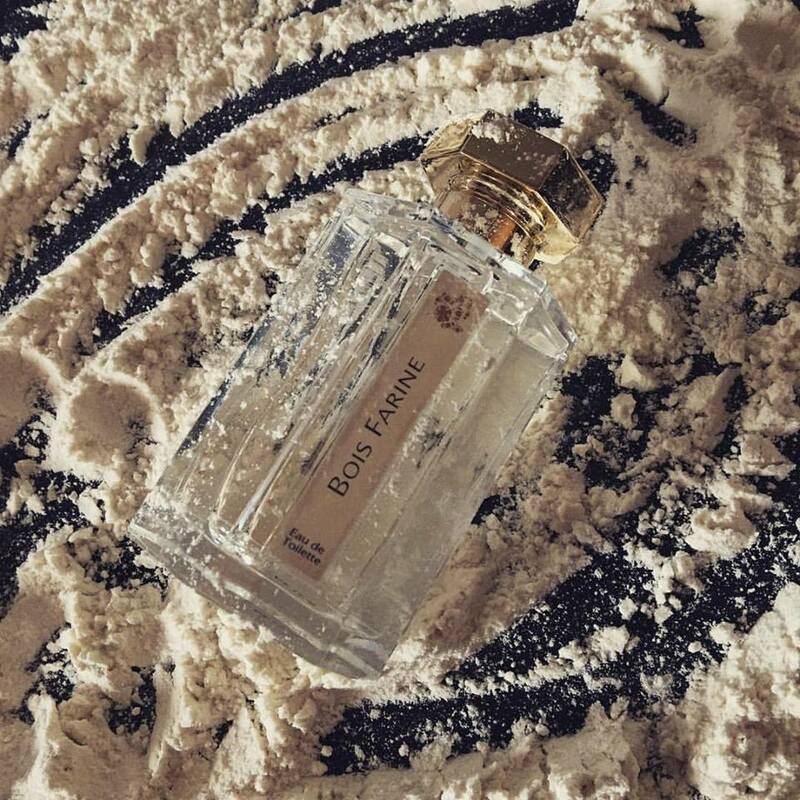 Masterful, edible and unusual, Bois Farine is one of L’Artisan Parfumeur’s greatest offerings and easily one of Jean-Claude Ellena’s most fascinating pieces of work. 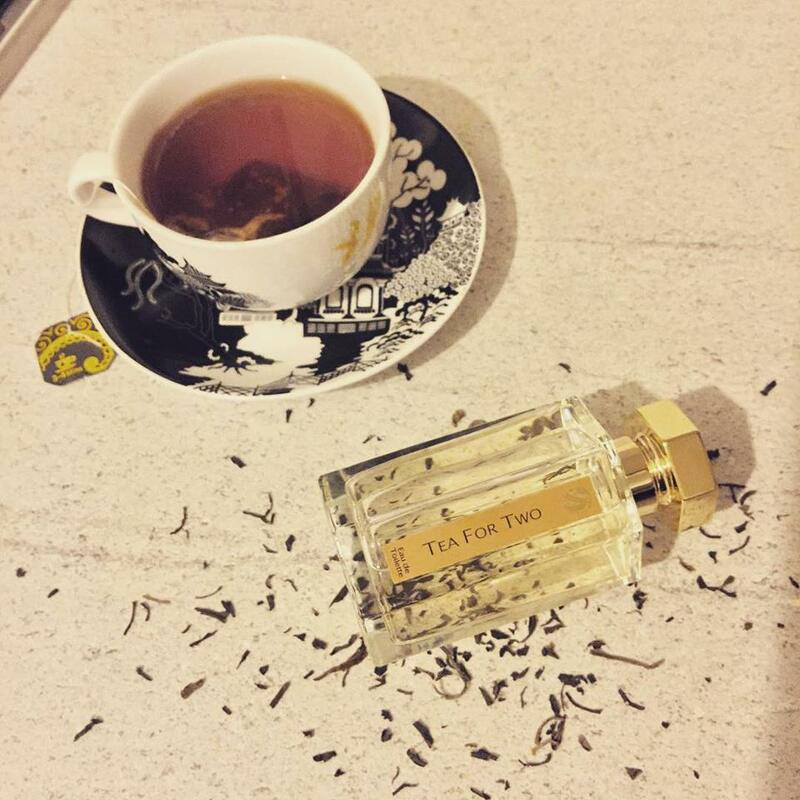 Tea for Two is available in 50ml (£62) and 100ml (£87) Eau de Toilette, and Bois Farine is available in 100ml (£87) Eau de Toilette. Samples, image two and three are my own. Posted in L'Artisan Parfumeur, Perfume Reviews and tagged Bois Farine, Fragrance, Jean-Claude Ellena, L'Artisan Parfumeur, Niche, Olivia Giacobetti, Oriental, Perfume, Perfume Review, Tea for Two. Bookmark the permalink. I love, LOVE Bois Farine. All of his wispy, watery creations occasionally lull me into forgetting that JCE really is a towering perfume talent. Thrilled at the prospect of more Candy Perfume Boy in 2016! It’s just a marvel, isn’t it? I love JCE’s creations and his humour too. I’m glad that the prospect of more CPB makes you happy! It’s certainly fun to look back, I must say! I think people can engage more as well, because they have experience with the scents. I can actually see what you mean about Tea for Two. I was exactly the same before it clicked. Here’s hoping its the same with you. I think its that inky/smoky effect that sort of catches the throat. Safran Troubling was at TK Maxx?! Aw man! I missed out there. I did benefit from a back up bottle of Seville a l’aube and some Iris Prima though. I shan’t complain! I want what your Dutch friends are having! Thanks, CPB. One more here who has capitalised on recent TK Maxx L’Artisan spoils! Long-time fan of Tea for Two; mixed feelings about Bois Farine. For me, the latter seems to sit in a ‘family’ with Jour de Fete (which I tried to love, but abandoned) and L’Ete en Douce. Would love to know what Bois Farine would layer well with? Layering may be the only way I get real wear out of it. Here’s to the TK Maxx bargain hunters! I wonder if Bois Farine would go well with something violet-y? I think more sweetness could do it good. Love Tea for Two, but also initially got an overwhelming soapiness. Another TK Maxx L’artisan bargain hunter here! I got Seville a l’Aube, Passage d’Enfer and Skin on Skin, which was reduced to £20. I love TK Maxx for perfume and candle bargain hunting. Aw man, I missed the Skin on Skin! It’s s good to see others taking advantage of the bargain hunting!